As many of our volunteers, foster homes and adopters know, Ador-A-Bull advocates the use of Positive Reinforcement based dog training for all canine companions. As such, we encounter many success stories, questions, and arguments about styles and methods of dog training. Lucky for us we work with an amazing local trainer who a registered Animal Behaviour Consultant and a syndicated columist (Toronto Star), who was more than happy to answer a few of the most common questions we receive, and shed some much needed light on the dog training industry! Can you please let us know your background, education etc in terms of dog training? I began working with animals well before I can even remember. The first dog I “rehabilitated” was the next door neighbour’s German bred and German trained guard dog when I was 6-years-old. It would charge at the fence line and quite frankly, I wanted it to like me. So I’d sneak into the cupboards and bring it sugar cubes. Before long it would run out to see me tail wagging. Of course, I was eventually caught and the neighbours were not pleased. Just goes to show how a few treats can go a long way though. Dog training wasn’t a common profession, so although I tried to find information on schooling, it just didn’t exist when I was in high school. Instead I completed a college program relating to administrative work. After which I worked in the banking sector completing courses in insurance and brokerage. 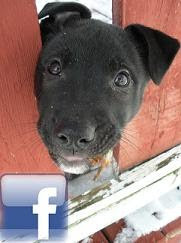 During this time my husband and I began fostering puppies and my passion for training was rekindled. I began apprenticing and going to seminars. And I also began taking courses – some of those at the University of Western Ontario. Currently I am registered as an Associate Animal Behaviour Consultant with the I.A.A.B.C. Are all dog trainers required to have these qualifications? And if not, what are they required to have? There are no educational requirements for dog trainers. There are no industry standards. It pains me to say that not even criminal background checks are required. Sadly it is legal for someome charged with animal cruelty to call themself a dog trainer. However, there is one regulated title. That is “Certified Applied Animal Behaviorist.” It requires at least a master’s degree in a related field plus additional certification. Owners have to be careful. Titles such as “dog psychologist”, “behaviorist” or “canine behaviourist” are not the same. Those times all mean the same thing – dog trainer. There are no regulations for any of those titles. Owners might also see other titles from various organization such as “Certified Pet Dog Trainer or C.P.D.T.” Owners need to look at the organization that does the certification to see what testing is required, if any. It’s not to say that they are bad. It just means that owners are in a buyer beware position. Belonging to an organization may mean a test was done, as in the case of the C.P.D.T., or it may simply mean that the person purchased a membership which happens with quite a few training organizations. To cut straight to the chase we get a LOT of people who watch shows on TV, and come to us saying it is proper and important to be the “boss” of your dog and be the dominant/pack leader in the house, could you please explain why these ideas of how to treat a dog are not effective in terms of good behaviour foundations and an overall relationship with your pet? I’m a crossover trainer. Which means that when I started training I used many of these methods. However, I was never satisfied with the results. Sure, at first the dog seemed to stop misbehaving. But I was always on the watch because those behaviours kept creeping back in. It’s because the dog is behaving because “big brother is watching.” Take the pressure off, and all the nasty stuff comes back. When I started using positive reinforcement – and using it well – I noticed the dog kept behaving well. It was doing the right thing because it wanted to obey. That’s not to say people should give up being the dog’s boss, leader, teacher. The problem is that many trainers who advocate dominance based training suggest that being a good leader means one should poke, push, kick, scruff, jerk on the leash or otherwise use pain and fear. I can’t imagine any person tolerating such a boss, teacher, coach or leader. Put the shoe on the other foot. If you can replace “dog” with “woman” and it sounds wrong, it probably is. For example, “My dog must submit.” What if my husband said, “My wife must submit”? It sounds horrifying. You can substitute husband, employee or any other person who is forced to be at the bottom of the pecking order. Dominance training only sounds good if you’re not the one at the bottom. How does it hurt a relationship? I would rather have a dog voluntarily give me respect because I have been a kind and gentle leader. I believe in commanding respect, not demanding it. In the end, I don’t have to worry about aggression stemming from retaliation. Becoming a good leader is a skill. Let all that negative energy go and the success and results are so amazing. The dog and owner start working together as a team. And yes, the human is usually the leader. But a team none the less. It takes a very confident owner to let go of control to gain control. Sure it’s easier to blame the dog and say it’s dominant rather than saying, “I need to train better.” But the results are so worth it. We have also heard that according to these “famous” trainers one should not use food reward based training but rather use physical correction or punishment. We disagree with this! Can you please elaborate as to why reward training is more effective than these other methods? It always amazes me when people say such things. Any time I have met such trainers and heard such blanket statement I ask them to provide research to back up their claims. Not once have any of them had any research. The opposite is true. There is research and it shows that people are generally far more satisfied with the results of positive reinforcement based training. Positive reinforcement training triggered fewer aggressive responses than force based training methods. Methods such as clicker training triggered zero percent aggression. While some common force based training methods triggered aggressive responses in more than 30% of dogs. That’s a big difference. When you’re working with bully breeds in particular, these aggressive responses need to be avoided. People already see many breeds in a negative light because of breed bias. Anything that triggers aggression needs to be avoided or it just reconfirms such erroneous stereotypes. In your experience are there studies/data to back up certain training methods? 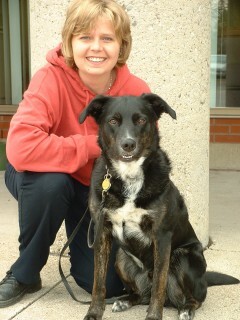 I have posted many research study links on my website AwesomeDogs.ca. As more research becomes available, it will also be posted on the website. Owners should always ask trainers to back up their statements of fact because there’s a lot of old wives tales still circulating. Does what people feed their dogs impact a dogs behavioural well being? Theirs is some research out there that indicates that protein levels and such can affect levels of aggression. So I generally recommend moderate amounts of protein. Where the other items are concerned, I’ll be honest and say this is just my own personal opinion and observations. Garbage in tends to mean garbage out. Just like you can’t function effectively on a poor diet, I suspect that dogs cannot function at peak performance on a lousy diet. By the same token, I don’t think owners need to get obsessive or spend their whole salary on food. But feed a diet of real food and ingredients you understand even if it’s a good quality kibble. Avoid cheap fillers such as processed grains, sugars, artificial preservatives and colours. Some of those items may not be harmful, but they are taking space away from nutrient dense foods that your dog needs. You might find that switching to a nutrient dense food saves you money. Serving sizes tend to be smaller. So make sure you compare the price per serving rather than the price per bag.